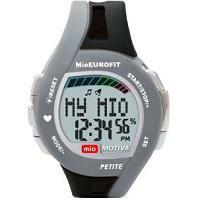 The Mio Shape Elite heart rate monitor is a simple strapless ECG accurate heart rate monitor. Without a chest strap transmitter, it requires that you put two fingers on the sensors on the wrist watch to measure your heart rate. Hence it measures heart rate on demand, rather than continuously. It is one model up from the Mio Shape model. Automatic calculation of daily calorie target using your age, gender, weight, resting heart rate, activity level and weekly weight change goal. This can also be manually set if required. Note that the features in bold above show the features found in Mio Shape Elite but not in Mio Shape. 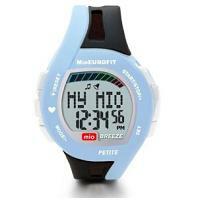 The Mio Shape Elite heart rate monitor has a number of calorie management facilities. First you can set your own daily calorie target. This target amount can be set automatically based on your personal data and weekly weight change goal (for example to gain 1 lb). You can adjust it further if you wish. If you then eat something, you input its calorific amount into the watch. This amount (net calories in) is accumulated, depending on how many meals/snacks you have had during the day. The net calories in will show up against your daily calorie target in the form of bars. There are six bars in total, with 1 bar representing about one sixth of target. So when you have reached or exceeded your daily calorie target, fully six bars will show up on the wrist watch. This allows you to see, as you eat throughout the day, whether you are approaching your target daily amount or are beginning to exceed it. Note that if you exercise, your exercise calorie burnt amount is automatically deducted from your net calories in. For example, if you have just burnt 300 calories in your exercise, you net calories in will be reduced by 300, so you can afford to eat more (for the day) before reaching your daily target. At the end of the day, you reset the net calories in and the next day, you start counting afresh. Obviously you don't need to use all these calorie management facilities. But they are there for you if you choose to use them. The Countdown to zero and stop timer is the simplest. When the timer counts to zero, it beeps twice and that is it. With the Countdown to zero and repeat timer, the timer beeps when it counts to zero, but then it restarts again and the cycle goes on. 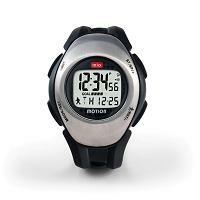 The Dual timer is useful for interval training. You set 2 timers of different durations, say one for 3 minutes (for walking) and the other for 2 minutes (for running). When you start the timer, you walk. When 3 minutes is up, it beeps and you start to run. After you have run for 2 minutes, the timer beeps again. And you begin to walk. And so the cycle repeats. It is a motivational tool as you should be able to see your progress as you get fitter. 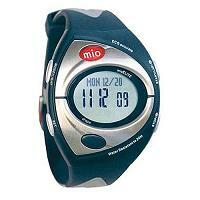 The Mio Shape Elite heart rate monitor builds on the Mio Shape models. It offers an additional tool in its calorie management facilities: the weekly weight change goal. 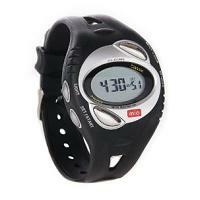 It also offers 3 types of timer, and heart rate recovery measurment.